Page 98 of 365: Too many Easter Eggs! I’m facing the aftermath of Easter and I’m realising there are two types of Easter Egg Eaters. The scoffer and the paced-eater. My sister and I fall into these two categories. We had four chocolate eggs each this year – two from nan and two from our parents, very lucky, very grateful and all that. My sister ate all of her eggs on Easter Sunday, maybe she saved one for the Monday? I’m not going to ask her, she’ll just ask if she can eat mine. 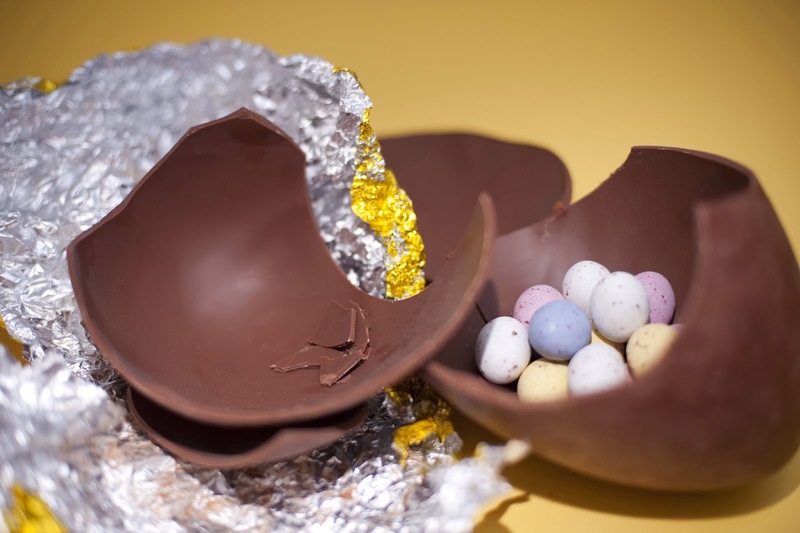 I’m still on my first Easter Egg – I’m munching away on the egg as we speak, I’ve got a Dairy Milk egg, a chocolate buttons egg and a creme egg egg to go and they’ll last me another couple of weeks yet. I’m trying this ‘bikini body’ incentive where I pretend I’m eating healthily by not eating four Easter Eggs in one night, but over a couple of weeks. Let me know what you’re like with Easter Eggs down in the comments – do you eat them all in one go or do you prefer to savour them and make them last?